I currently live in North Carolina with my better half and my horde of goblins. I am a Licensed Master Social Worker, receiving my degree from Wichita State University. 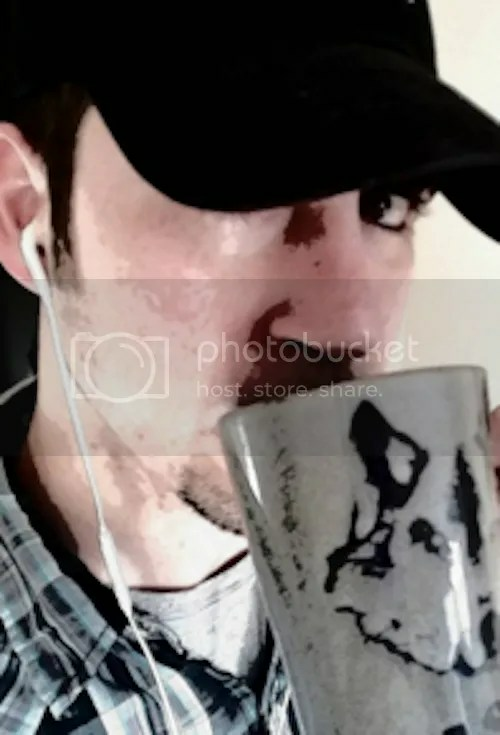 I have worked with children and families for the past fifteen years in a variety of unique venues: a residential behavior school, a psychiatric treatment facility, and the child welfare system. I have functioned as a supervisor, an educator, a behavior specialist, and a therapist during my career. You, however, may recognize me as the dude whose dragons were said to destroy George R.R. Martin’s and Christopher Paolini’s dragons in a very biased Twitter poll. 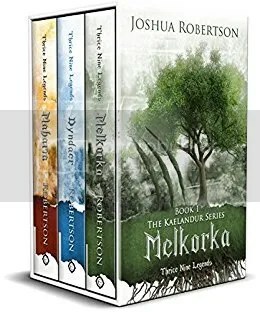 My first novel, Melkorka, was released in 2015, and I have been writing fantasy fiction like clockwork ever since. 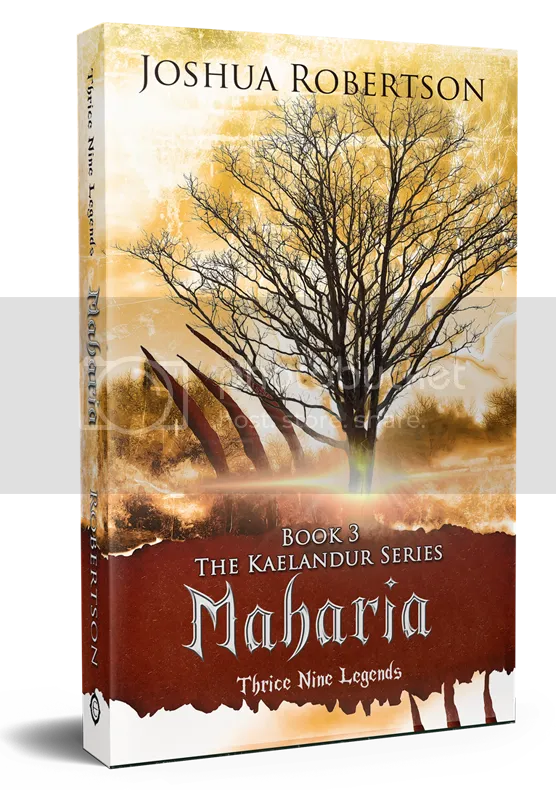 This month I completed the third book [Maharia] in my trilogy, The Kaelandur Series. Maharia is my fifth published, print novel and my fourteenth published work. Yet this is my first whole trilogy. I began writing stories around the age of nine, completing my first short story. I suspect writing was originally an escape. I mean, I was already dreaming of bestsellers at nine-years-old. Over time, writing has become more of an expression of my own exploration of self. I called myself a writer regularly by the time I was in high school. I had finished my first book by the time I was seventeen. I remember my class voting me the most likely to become a famous writer…but I think they said I would be writing for television. My first published book was inspired by a dream I had in 2013 where a dagger brought demons back to the living world. This book was Melkorka, the first novel in The Kaelandur Series. Maharia is the name of the northern lands in my world, Aenar. 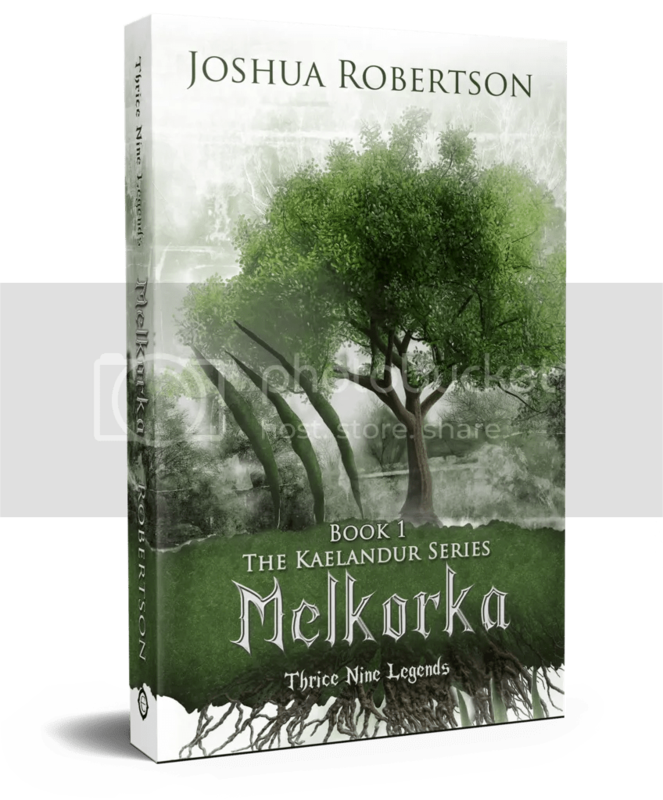 The first two books in the series, Melkorka and Dyndaer, are named after a lone castle and an enigmatic forest. I enjoy blending theology in with my fantasy tales, and I would hope readers will be able to find many gems throughout the series. I have been told by fans that my fantasy novels have many quoteable lines. Overall, I would like readers to have a strong sense of looking at their own lives and their purpose. In terms of realism, the books are laden with the realities of war, slavery, government control, religious oversight, etc. No experiences in the book are based from my own experience. If any parallels are found, it would be in the history of our known world. The Prince by Niccolo Machiavelli and Liberty by John Stuart Mills. I have found many new authors whose works I enjoy: John Ryers, Angie Grigaliunas, and Angela B. Chrysler. However, my favorite author is likely J.R.R. Tolkien. I can read his works over and over again. He is not the best author, but his introduction to world building, magic, language, and fantastical races opened the doors for many authors today. I have been supported by so many people throughout my writing career in forums, writing groups, or personal relationships. It would be incredibly difficult to name only one. Absolutely. I currently write full time, and I hope to continue to make strides in my writing career. I always find areas in my books that I would change, even the day after I publish them. A word I would have changed, or description I might have added. I try not to get too caught up on the details, and instead, I incorporate what I learn into my next book. Again, the bearded Kadari and Beryl tightened their hold on his arms. With a flash in her eye, Kveta pulled aside Branimir’s cloak and pulled the dagger from the belt. Kaelandur stayed hanging from its sheathe around his waist. She barely looked at the copper blade, twisting the iron dagger in her hand. The sharpness of the weapon gleamed in the firelight. Disbelief and horror seized Bran, his timorous lip quaking with realization. He twisted against the Kadari holding him, hardly budging. He dared to break from Kveta’s ghastly expression to look at Falmagon. The twisted smile under the Patrician’s mustache screamed of gratification. After Harrowhal, he realized how far gone Falmagon truly was. He once thought Falmagon, at least, considered himself decent, but nothing was left of the Highborn Long-Walker. Nothing could have readied Branimir for the shockwave of pain riddling through his body as Kveta speared him with the dagger. He reacted at instinct, thrashing violently against the two Kadari holding him hostage, his wail causing the very flames of the distant fire to waft. He could not pinpoint where she struck him at first, only knowing the pain surged from beneath his belly. The heat of the immediate wound was only diluted by the warmth of the thick blood flowing down his slender leg. He moaned. Tears descended from his cheeks with heaved sniffles, snorting his slick snot back into his nose and off his upper lip. Kveta twisted the blade, grating the sharp edge against his femur, isolating the dagger’s location. Branimir blubbered softly, catching the saliva on the edge of his tongue, hatefully glaring at the Kadari woman. Romance. I have found through the course of my novels there is very little, if any, romantical interest or love stories in my books. I do not travel much yet, but I am planning to change that this year. 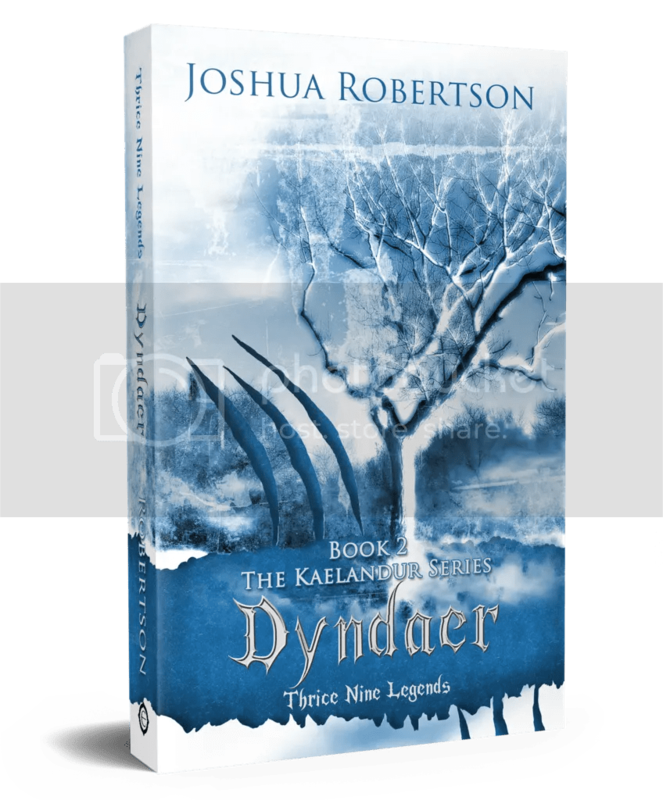 My cover designer is primarily Winter Bayne. 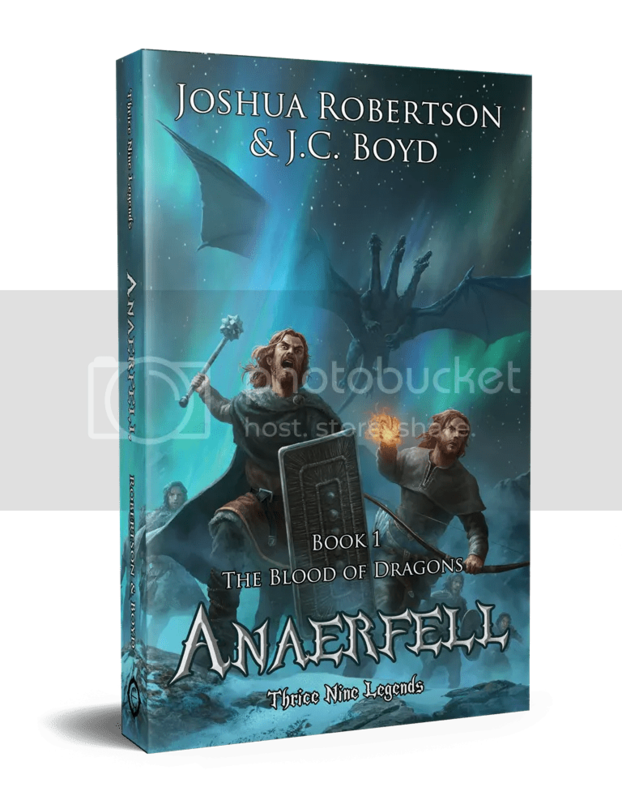 Though, the artist Shen Fei did complete the cover for Anaerfell. The most difficult part of writing is not being finicky over every little word. I have the tendency to edit while I write, which helps me in the longrun, but can be cumbersome if not watched. Do not try to write like other authors. You should follow the rules of writing, but you also must find your own voice. They hear it from me often enough, but thank you, I could not do what I do without you. I am currently reading The Fantasy Faction Formula by Deborah Chester. I do not. But the first book that stuck with me was Where the Red Fern Grows by Wilson Rawls. My children. Sometimes in the same sitting. That is a difficult question. If I had to narrow it down, I would want to meet Erzebeth Bathory. She is, hands-down, my favorite historical figure and I would love to learn more about the rumors of her bathing in virgin’s blood. In the modern day, I think I would want to meet with RA Salvatore just to play a good, old-fashioned tabletop game. Nothing. I would prefer that I am sent out to see on a pyre of logs and set afire with a flaming arrow. Though, I think that might be illegal. I enjoy reading, time with family, tabletop gaming, and the occasional television show. I am currently catching up on the acclaimed Breaking Bad. Otherwise, I watch Game of Thrones and The Walking Dead. I particularly enjoy anything that has a touch of fantasy or a dystopian setting. Considering a spent the first half of my adult life working in social services, I would probably return to that work if needed. Enjoy my latest interview with Fiona McVie. I love the response to “what do you want written on your tombstone?” That’s an epic way to go! Haha! Heya, Heidi. Fancy seeing you here. I have been begging to leave this world in flames for sometime. None have agreed to see it so!